The airport manager works closely with federal and state aviation committees and department that generate rules and regulations for all aspects of airport business and security. The airport manager must ensure that all aspects of the airport are functioning within these regulations or he or she must take the necessary actions to bring them into compliance. This may mean directly working with airport staff or working with the employees or businesses that rent space in the airport terminal. Occasionally the airport manager may also have to work with airlines and shuttle services that are out of compliance with airport policy. In the United States, there are about 13,000 airports and 4,000 heliports (landing sites for helicopters). About 5,000 of these landing facilities are used by the public. It may surprise you to learn that only about 650 airports are served by airlines; most of the Nation's airports are used by general aviation pilots and their aircraft. The atmosphere at these airports is usually a lot less hectic and pressured than the environment at a major airport facility. Some airports are owned by municipalities, states, counties, and cities. Others are operated as privately, owned businesses. The assistant airport manager helps the manager carry out administrative responsibilities. The assistant may be in charge of maintenance employees, airport equipment, airport tenant relations, or any of the other kinds of work associated with an airport. Working conditions vary greatly depending upon the size of the airport. At a large airport, the assistant manager works in an office usually located in the terminal building and may take on a more prominent role. Assistants participate in short/long range planning in a number of areas. Office hours are regular except in times of emergencies. Travel may be required to negotiate leases with airline tenants or to confer with state and federal officials. Depending upon the size of the airport, requirements for the job of assistant manager vary. Large metropolitan airports typically require three to seven years of prior experience at airports served by a number of airlines. Assistant managers must have excellent oral and written communication, problem solving skills, knowledge and compliance with federal/state/local aviation regulations, laws and guidelines is also required. Airport management experience or experience that provides equivalent knowledge. A Bachelor's Degree from an accredited college or university with major course work in business, airport or aviation management or closely related field. Salaries and benefits can vary. For an updated look at salaries in the aviation industry, view the Avjobs Aviation Salary, Wages & Pay Report. Aviation plays a prominent role in our economy and new opportunities will always be available. Today, larger airports are expanding and smaller "reliever" airports are being upgraded to serve general aviation traffic being relocated from congested airports. The introduction of low cost airlines is also playing a role in creating opportunities in the industry. 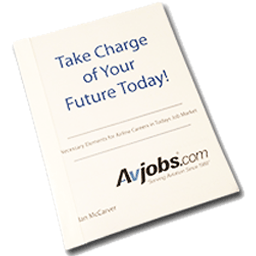 To view the latest industry opportunities, become an Avjobs.com Member today! Click here to get started! The passenger airline industry is undergoing many changes, with some airlines posting increases in passenger traffic and adding routes while others are cutting back. After September 11, 2001, air travel was severely depressed. A number of the major airlines were forced to reduce schedules, layoff employees, and even declare bankruptcy. At the same time, hiring continued at regional and low-fare airlines. It is expected that job opportunities will continue to be better with the regional airlines and low-fare carriers, which are growing faster than the more well-known major airlines. Opportunities with air cargo carriers also are expected to be good due to increasing security requirements for shipping freight on passenger airlines and growth in e-business.